What Type of Boat Fits Your Lifestyle? Picking out a boat does not have to be a difficult process, you just need to know what you plan on using it for. 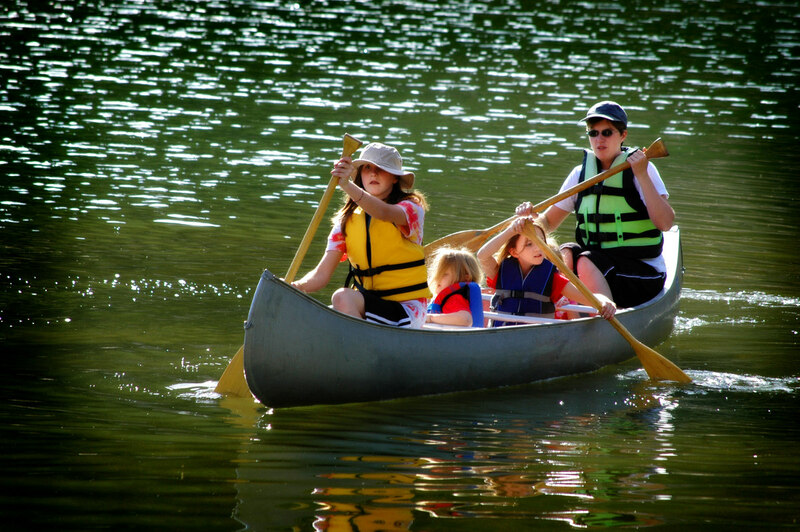 A boat will give your family many fun times and great memories on the lake. However, in order to do this you have to choose what type of boat best fits your needs. A pontoon boat is considered to be flotation device that can hold a large weighted load. It includes a flat surface unlike other boats and relies on pontoons to float. This boat is almost like a boat and raft hybrid. Many people treat this as a floating patio due to the flat surface and the overhead roof. They barbeque and enjoy the day in the water. 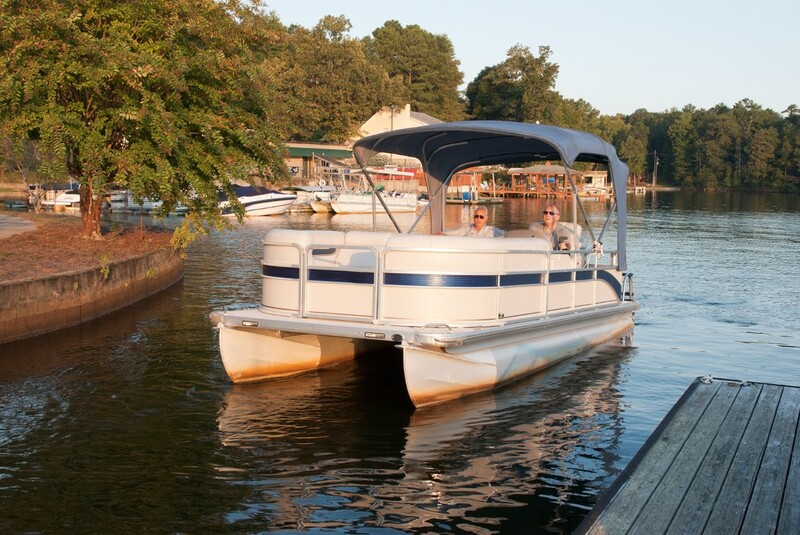 Pontoons are great for families in all age ranges and make for a relaxing day out on the lake! Bass boats are a great way to go fishing in style. They are smaller than a pontoon boat and are designed for fishing and built for speed. These typically only seat 2-3 people so you will have to plan your outings with just a couple of friends or maybe you and your two kids. Generally these boats are purchased for fresh water lakes and offer features like swivel chairs, storage bins, and livewells for your catch. You can store life preservers inside the boat, as well as fishing tackle and more. This is great (and obvious) choice if fishing is your priority. This specific boat is designed to offer a large shaped wake for wakeboarders to jump and launch from. The wakeboard is a V-drive boat which means that they are an inboard boat, which includes a rear-facing engine. This type of engine is used in order to keep the weight placed towards the back of the boat. Another feature of this boat that is standard is a wakeboard tower. The tower is typically used to elevate the pulling position of ropes that allow the rider to launch and stay in the air much longer. These boats are perfect for those who love to ski, wakeboard, or even wakesurf! This boat is perfect for the minimalist. It is a lightweight narrow designed boat that seats 1-3 people. There are no motors here; canoes are propelled manually by the occupants using paddles. They are used for many purposes that include racing, touring, camping, and whitewater canoeing. They are made of different woods and can vary in size depending on your needs. 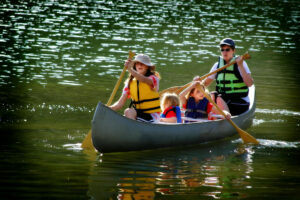 Choosing a boat is all about determining what activities you plan to do on the lake. If you only plan to fish, then having a bass boat may be a great idea. 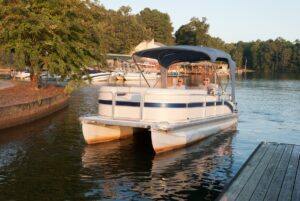 However, if you plan on visiting with family, fishing, and swimming, then the pontoon boat may be the way to go. No matter which boat you decide on, do your research before you buy. Then, and this is most important, be safe and have fun on the lake! Forget the Fancy Bass Boats, Get a Pontoon Boat! Glenn S. Phillips is the CEO of Lake Homes Realty. He is also an author and speaker. When not thinking about real estate and technology, he periodically plays his ugly tuba (complete with a bullet hole), enjoys exploring cognitive thinking, and prefers dark chocolate. 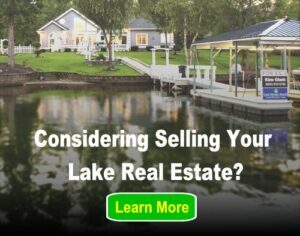 Just a few of the 65,000+ lake homes and lots for sale here at LakeHomes.com!